I am really a Quezon City Girl so its rare that I go to areas like Makati, Ortigas and even BGC. Whenever I drop by in that area it is because I have an event to attend to. Uptown Mall is located at 9th Avenue Corner 36th Street in Uptown Bonifacio, Taguig. The cinema section is situated on the 3rd floor. From basement parking, we just went directly to 3rd floor via the elevator. The mall is spacious and I cannot wait for the day that all stores would be open because right now, food chains are the establishments that are mostly operational. 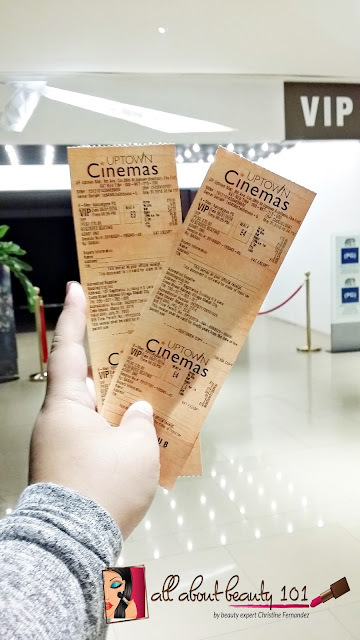 The VIP ticket costs 520php per head, it comes with unlimited popcorn and drinks. Uptown Cinema only accepts cash payments just in case you are curious. The seats are reserved and you will choose during the buying of ticket. The attendants are attentive and well dressed because they are wearing black suits. It is so formal, right? 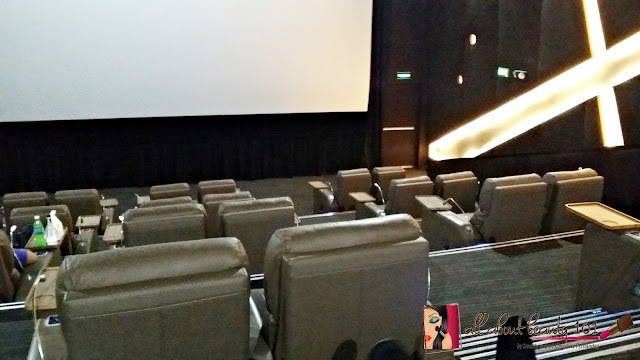 Upon entering the cinema, I am so glad to see that it has its own comfort room unlike other cinemas that you have to go outside just to pee. The temperature inside is quite cold too so if you are not used to it, I suggest you bring a jacket or at least wear a long-sleeved shirts. 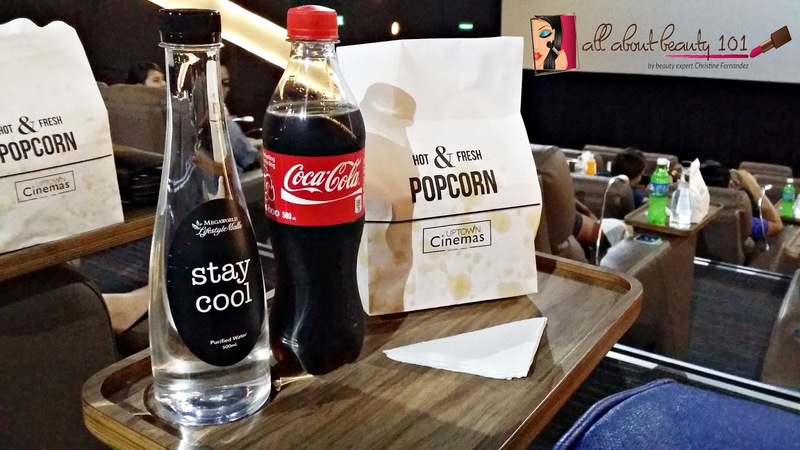 Its easy to spot the reserved seats because the popcorn and drinks are already ready and served to our tables. 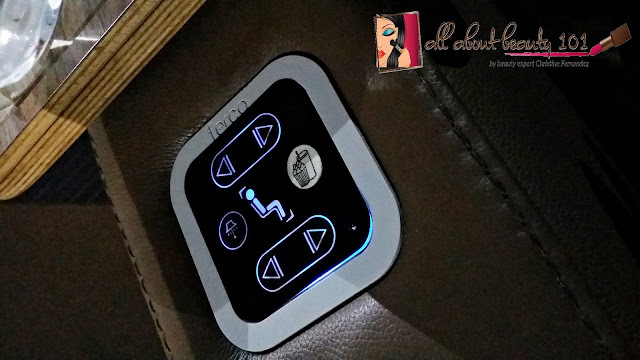 The label of the seats are also easy to detect, its posted on the recliner seat and on the side. I was expecting that they will serve the drinks in a plastic cup and straw like the usual food available in cinemas but I was mistaken. They serve it in bottles. By the way, if you do not like the soft drinks served on your table, you can request for a change. There is also a water in a bottle served along with the soft drinks. The Popcorn has flavors too that you can request. For my boyfriend and I, we got Cheese and Barbeque. I am not sure if there are other flavors available but I did not bother to ask. The best part in this VIP Cinema is their recliner seats. I have a control on my left side wherein I can adjust the back of my seat and the foot part too. 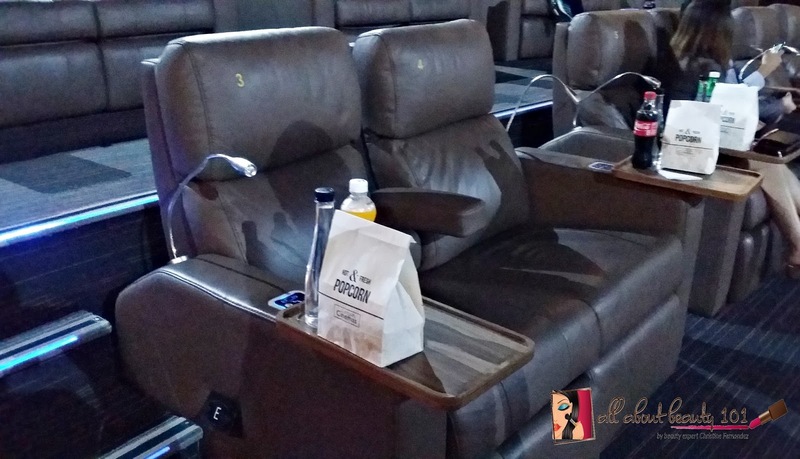 There is a button that can light up the lamp and a button to call for the attendant for refill of popcorn and drinks. 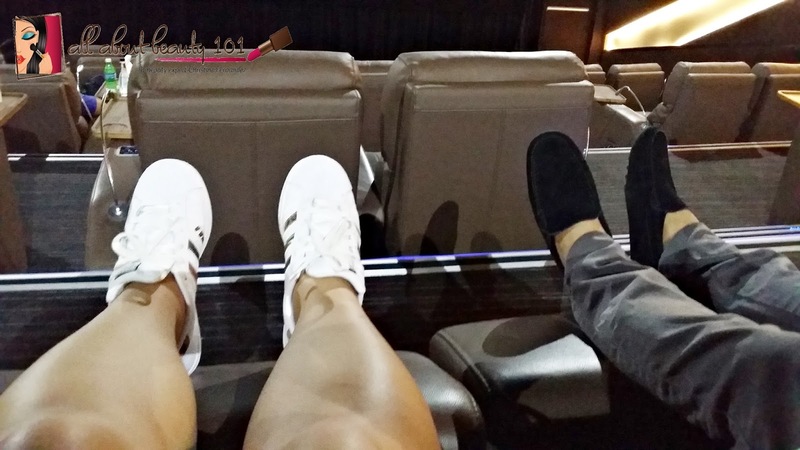 Watching a movie in a very comfortable position is fantastic. My back and feet did not get stiff at all! I can experience watching in the big screen better. Look at me, already ready before the movie starts. 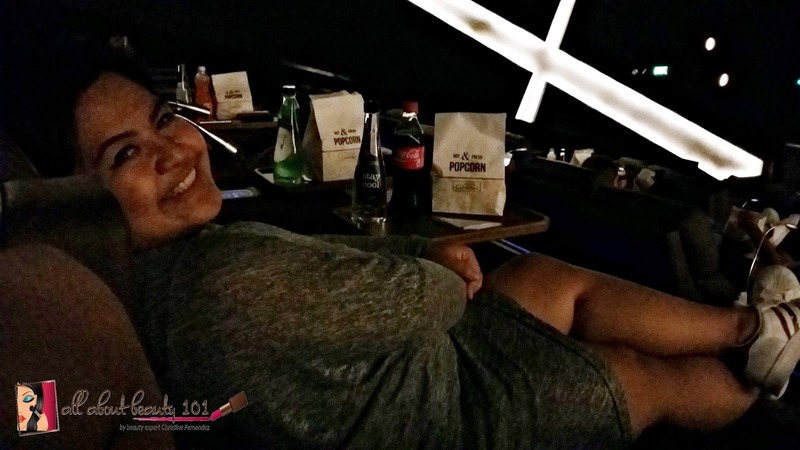 I am sitting comfortably and happy with my unlimited popcorn and drinks beside me. What are you waiting for? Take your family, friends and loved ones for a date in this one of a kind experience. I cannot wait to watch the next movie that will be aired on Uptown Mall's VIP Cinema. I am sure that I will get addicted in watching inside this VIP Cinema.